With the opening of the Staff College the eastern half of the town rapidly developed and received the name of Cambridge Town, named after Prince George, second Duke of Cambridge, Commander in Chief of the British Army. Due to the inevitable confusion with the University Town of Cambridge, a new name, Camberley, was evolved. However the Cambridge Hotel still remains. In the 1870’s a number of officers, N.C.O.’s and Tradesmen, Members of Lodges in various parts of Britain and the Empire, decided after a meeting at the Duke of York Hotel to create a local lodge. It was to be called Albert Edward in honour of the Prince of Wales, H.R.H. Albert Edward, who in 1877 was Grand Master of the English Constitution of Freemasons. 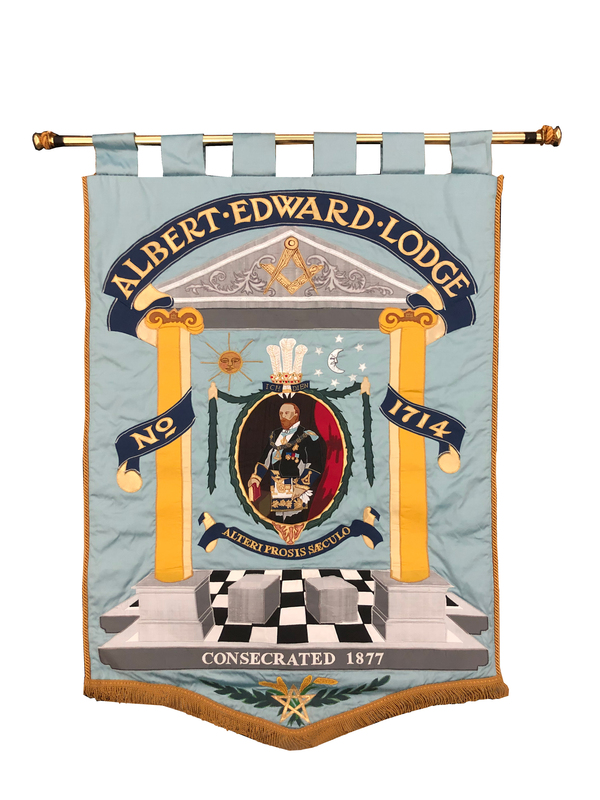 Therefore not only is the lodge named after the Grand Master, later to become King Edward VII, but the warrant consecrating the lodge in 1877 bears his Royal Signature. The consecration took place at The Duke of York Hotel on October 2nd, 1877, consecrated by the Provincial Grand Master of Surrey, Lt. General John Studholme Brownrigg, C.B., ably assisted by The Reverend C. W. Arnold, D.P.G.M. The lodge was to be favoured’ by visits from a number of distinguished Provincial Grand Masters of Surrey and honoured among its Honorary Members in the past were The Duke of Connaught, H.R.H. Edward Prince of Wales, later to be King Edward VIII and today The Earl of Shannon. The history of the lodge as it progressed towards the end of the 19th Century and up to today, reflects the facets of the Royal Military College, The Staff College and the business and professional life of a lot of men in Camberley and District.